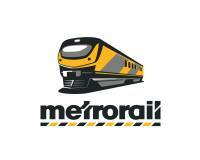 MyLine, Metrorail's free weekly commuter newspaper, is an informative read full of relevant snippets, info graphics and useful service information. The bite-size articles draw readers in and keep them entertained while the friendly tone reflects the diversity and informality of commuters. The tabloid-style paper aims to create unity among readers, encourage positive thinking, educate commuters on rail safety, bridge cultural; racial and gender divides, and assist the local economy by providing jobs and growing expertise. Grab your latest copy of MyLine every Thursday, available at all stations!